As much as I love the Christmas/holiday season, I think most people would admit there is a good bit of stress involved in these “jolly” days. The gift-giving season used to result in me incurring more stress than usual, for a variety of reasons. There’s the whole gift-giving “expedition,” which for some people lasts months, and for others, is a jam-packed week of shopping hell. There’s the juggling of all of the gatherings and events you “really should” be at. Finally, there’s the scattered, goofball co-workers, family members and acquaintances you may or may not have to restrain yourself from pummeling, telling off or giving a good swift kick out the door to before something really messy happens. :-). So how do you get through these “joyous” times with your sanity still intact? 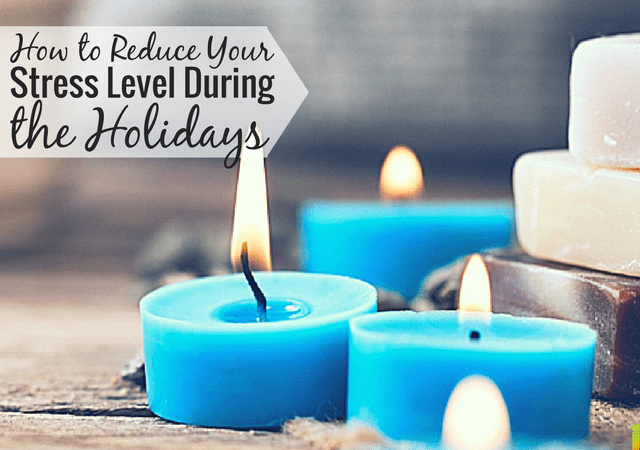 Here are some thoughts on how to reduce your stress level during these hectic times. 1. Set a spending limit for each person on our list. 2. Set the money needed aside each year, in monthly increments. 3. Stuck to our list/budget (this means no spur-of-the-moment flat screen television purchases just because it’s a “great deal”). 4. Put away the Barclaycard Arrival World Mastercard and started paying cash. Contrary to popular opinion, you don’t have to attend every single event you’re invited to go to. People by and large understand that the Christmas season is a hectic time with lots of commitments, and they’re usually okay if every single person invited doesn’t show up to an event. When deciding which events you’ll choose and which you won’t, talk it over with your partner and/or family and put the invitations in order of least to most important. Then, if need be, start crossing stuff off the list. The holiday season and the gatherings that come with it are meant to be festive occasions for celebrating with others, not a mini-version of The Amazing Race, so feel free to choose thoughtfully. This can be the most difficult part of navigating through the holiday season: interacting with the people in your lives you’d rather not see at all, especially at something that’s supposed to be as joyous and as loving as Christmas time. Maybe it’s Uncle Fred, who just has to get wasted every year at Christmas Eve dinner, or Aunt Betty, whose constant well-meaning comments go over like a bull in a china shop. Maybe there are relationships with long-unresolved hurts and wrongdoings that still grate at your nerves every time you’re together with that person. Whatever it is, those Christmas get-togethers tend to magnify those strained relationships, don’t they? How do you reduce your stress level in these situations? My best suggestion is a difficult one. Forgive them, and brush them off as much as possible. Their reasons for being “the way they are” are probably complicated and messy, and it’s likely they’ve got their own issues anyway. Leave them to play in their mess by themselves if no other avenues work. Is the wrong they committed too big to forgive and move on? You might need to decide that this is a family/friend gathering you need to skip, for the sake of your own well-being. As important as family relationships are, taking the time to reduce your stress level and keep your sanity intact are just as important. Putting your well-being at or near the top of the list is okay, and it’s the right thing to do. After all, how can you care for and manage all the people and things in your life properly if you’re not at your best? 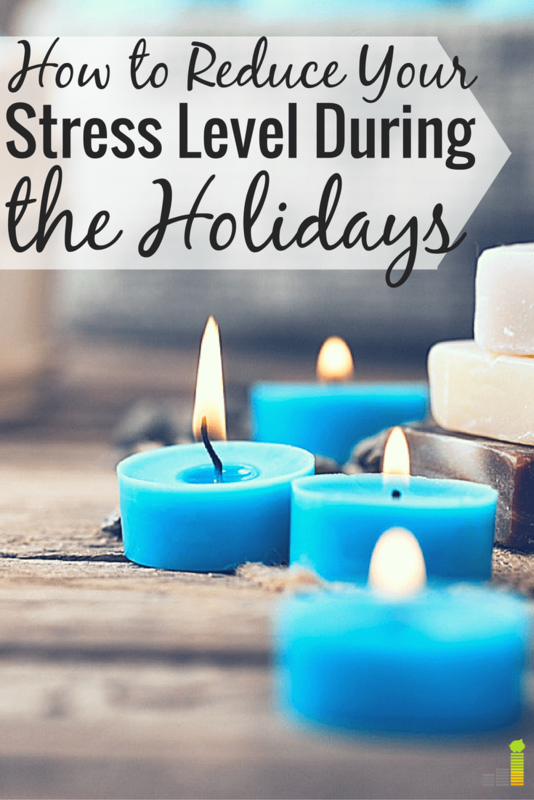 How do you cope with the stresses of the holiday season? Great tips. And you make an excellent point about how much less stressful it is to pay for holiday expenses when money has been saved all year long for it! Sooooo much less stress! I don’t know why, but I love saying no when it comes to money 🙂 Unless it’s for traveling. Then I say YES YES YES! This year is a lot less stressful than past years because I no longer have so many work events. In years past, we had a holiday event every weekend in December…plus the holidays to deal with. This year is so relaxing compared to that. Wow, Holly, I would’ve never thought of that! I’ll bet it makes a huge difference on your stress level, knowing YOU are in charge of your work schedule. An extra Merry Christmas for you guys, huh? I like your “brush it off” suggestion. It’s important to not let people or people’s comments get to you during the holiday season. So true. Most of the time those hurtful comments aren’t really directed at you anyway, but are simply a vent for the person’s own issues. Great comment, DC. Hey Laurie, great post as always! I love the saying NO part. That’s so important. As far as how I reduce my stress level, believe it or not, I have no stress during the holidays. I’ve coped with what I can and can’t do, and luckily for me, my friends, family and fiance understand what that means. Joshua, that is awesome. You’re lucky to have learned that valuable lesson so young! LOL, right there with you on that one, Anna. We’d be quite the team together at the mall, wouldn’t we, Anna. 🙂 Glad you’ve been able to find a way that works for you. I am actually someone that doesn’t stress about the holidays. I never have and don’t plan on it in the future. This could be because we don’t have to travel and our gift giving is minimal. I think one of the biggest things for me is to get as much sleep as I can, eat healthy most of the time (save for those few special occasions), limit alcohol (again, special occasions) and work out. And don’t try to please everyone! Great article as always Laurie! LOVE those ideas, Tonya! I know for me, taking care of myself is super crucial as well. I try and eat well during the week, and save the junk food binges for parties only. Mackenzie, that is a truly smart move. We’ve done a lot of the same this year, and it feels SO good. What a blessed relief! Travel during the holidays is stressful. I’m trying to just go with the flow. I used to get really upset, but if we are a day or so late, it really doesn’t matter in the grand scheme of things. I think I put more pressure on myself than others do, so I’m trying to relax more. That is a terrific attitude, Kim, and I couldn’t agree more. This year has really had us having more of a “grand scheme” outlook, and taught us that it’s just not worth it to worry about most things. I am a child of divorce so the holidays are definitely a stressful time of back and forth dinners and parties. Now that I stay home with my boyfriend I can celebrate the holidays in peace. Great post. Oh, yes, both Rick and I are children of divorced parents, and that commonly adds stress on people during the holidays, doesn’t it? It’s definitely important to focus on peace at times like that. I don’t really even enjoy holiday parties. I would much rather say NO to all of them, but the issue is that I wouldn’t really look like a team player if I didn’t go to my work holiday parties. I think it’s important to just take some time for myself during the holidays. That really reduces my stress level. I have a big family so I know about the inlaws you cringe at seeing just once a year. I like to keep the conversations polite and to the point, I smile and move one. It’s like a check box for the holidays. “It’s like a check box for the holidays”. Love that, Chad! That’s a great way to put it, and makes it feel so much more light-hearted.